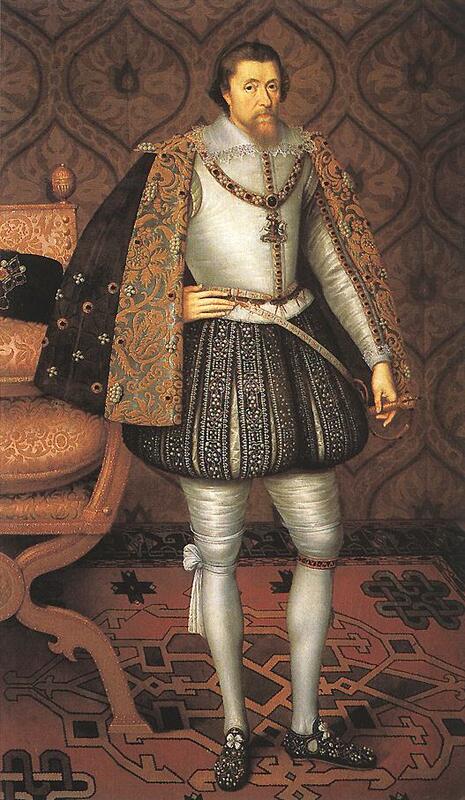 James Stuart, known as King James VI in Scotland and King James the I in England and Ireland, issued an edict in 1603 that abolished the surname MacGregor and declared that everyone named MacGregor or Gregor must renounce the name or suffer death, all in response to the murder of the King’s Forester, who himself had hanged some MacGregors for poaching. A bounty of 1,000 merks (apparently a great deal of money) was placed on the heads of the clan leaders, with 100 merks for other members of the clan. This the origin of Rob Roy, also known as Red MacGregor, or Robert Roy MacGregor. For the next 200 years The Clan Gregor endured this persecution. Men were killed while women and children were sold into slavery in the New World. Finally, in 1774, the Act of Proscription against the clan was repealed. I certainly hope the Clan Gregor Society has used at least two independent sources to identify the MacGregor DNA profile! Without verification it is impossible to say that the DNA profile they’re using is actually MacGregor. 300 or 400 years is a VERY long time which can allow lots of non-paternal events to occur. This process will of course miss those MacGregor descendants who were not, according to their DNA, directly related to the Clan but had adopted the surname. There probably isn’t any way to identify those individuals, however. And naturally, the female MacGregors are lost here as well. Type your comment here.The Glencarnoch line, of which Malcolm – 2124 is a member, is the predominant existing line. About 40 persons have the characteristic mutation to 10 at 385a. It is this back mutation which characterizes other Erainn tribe clans in the Highlands who have a 10 at 391 and an 11 at 385a. This mutation is relatively recent, about 875 AD and ties the MacGregor line to the Colla Uais MacDonalds, the MacMillans, the Buchanans etc. I never knew that about the name Gregor..kinda funny cause I went to a school with one, but everyone just called him Greg..When I use clan hosting I never really put much thought into the origins of the word clan but the true meaning of the sense brings thoughts of ancestry and pride. I too am a smith allegedly according to fasmily tales from the clan gregor due to an act of heroism on an ancestors part that was rewarded by the chieftain? How does that work and how can i trace my ancestors?? please. It’s quite remarkable, these days, the idea of utilizing the latest tricks in DNA to reconstruct genealogical lines. I find this all quite remarkable. i am a very close family to king stuart,my grandma’s father carried the stuart named,then passed to her and her brother,she got married then it became dail then passed to my father then me.stuart’s son earl of galloway came to america when the british attacked and that formed my family,i beleive mine is the closest living family to king james stuart. My grandmother told me a family legend that we were the clan Gregor’s descendaents. In 1918 on the russian north there were scottish soldiers (so cold intervents). One of them, officer MacGregor fall in love with my gand-grand mother and became father. After he was obligedto return home. It was the beginning of this branch of vy family. How could I know any details??? Sincerely yours Alexander MacGregor. Arkhangelsk. Russia.